The Innovative Antibody Engineering (INAE) Laboratory engages in the research and development of leading-edge technologies related to antibody. Also this laboratory engages in the R&D of clinical diagnostics using these technologies. 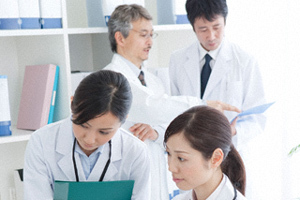 Since 2004, Frontier science Laboratory has been actively advanced collaborative researches with various universities such as Tokyo University and Tokyo Medical & Dental University. Finally we succeeded to establish an innovative technology to generate antibody. Our new technology requires a low quantity of antigen of the n mol order. Also we can produce the antibody in ten days or less using our new technology. 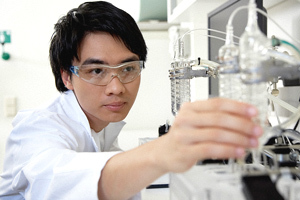 Then we established INAE Laboratory to develop this new technology. Also we planned the antibody business that includes the development of clinical diagnostics based on our technologies. Now antibodies are widely used in many applications. They are used as therapeutic agents for various disease such as rheumatoid arthritis and many forms of cancer. It is called “Antibody drugs” and expected to have high efficiency and low side-effects. Our technologies have some advantages. We can generate antibody easily and quickly. Our technologies make us possible to contribute to realize the tailor-made antibody therapies, the early diagnosis and prompt therapy. Moreover, it is possible to contribute to the improvement of cure rate and patient’s QOL (Quality Of Life). Through collaborative researches with universities and research institutions, we are willing to contribute to the advancement of medical science and engineering. Based on these researches, we are willing to propose a better life for everyone.